... the subway car you're in is full of souls. ... is full of stories. .... is full of fears. The cool Asian girl, looking at her I-phone 4, is actually trying to find a way to pay her college tuition. The bearded man in a black coat, listening to music, is worried about a job interview he's going to. Look at the way he scratches his nails to hide the anxiety. The young lady looking outside the window is thinking about the girl she met the day before in a bar. She may be in love. And that's confusing for her. Pay attention to her engagement ring. The Mexican man, who's been clearly working all day, wants to get laid. And by the way he looks at women it doesn't really need to be his wife the chosen one. A young man reads an article about HIV on a magazine. Tearful eyes, trembling hands... A band-aid on his right arm... One can say he'd gotten a positive diagnose just a few minutes ago. A couple, not so young, is in love. They play with each other's hands and smile for no reason, not even talking. They kiss. And they really mean it. A man, carrying a cart with his personal belongings, just wants to get to the shelter before it runs out of beds. He doesn't want to be outside in a cold night again. The black boy is almost dancing by himself. He has his report card on his hand. Good news? I hope so. You, yourself, is reading a book but your mind is far away, in another country, where your family is. And you wonder if you are really happy. 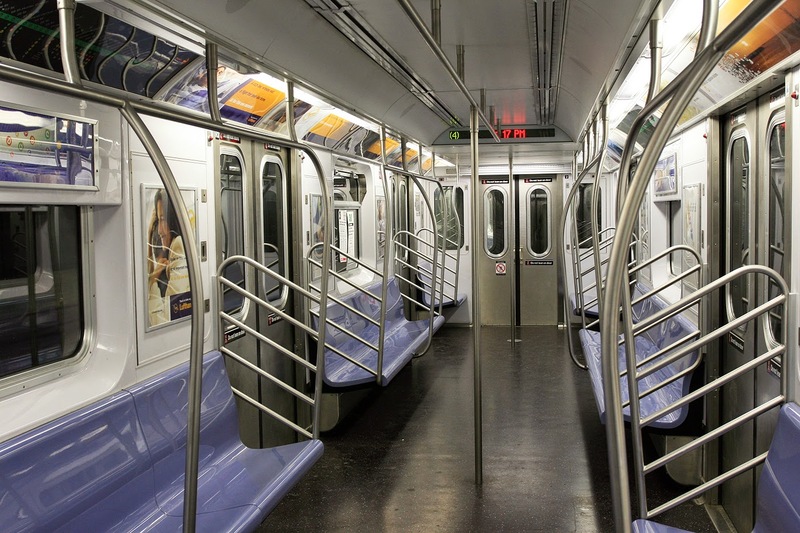 In fact, the subway car is empty. At least for you. Everyday you look at people. But you don't really see them. They are invisible for you.